“We are partnering with Eden Reforestation Projects, a non profit organization that will hire impoverished villagers at fair wages to plant the trees in a deforested country such as Mozambique,” says Fielden. Planting new forests is one way to fight climate change while benefiting these vulnerable communities. Visit Rocky Mountain Flatbread during April to celebrate Earth Day with your own One Pizza, One Tree commitment. There are two Vancouver restaurants: Main Street (4186 Main Street) and Kitsilano (1876 W 1st Street). For more information, visit www.rockymountainflatbread.ca. Rocky Mountain Flatbread takes pride in providing sustainably produced, local food that connects the farm, family, and community. Visit our two Rocky Mountain Flatbread restaurant locations in Vancouver (Main Street & Kitsilano) or the original restaurant that started it all in Canmore, Alberta. Food court locations include Rocky Mountain Flatbread Express in Banff. For more information, visit rockymountainflatbread.ca. Eden Reforestation Projects is a non-profit whose mission is to provide fair wage employment to impoverished villagers as agents of global forest restoration. We hire the poorest of the poor to grow, plant, and guard to maturity native species forest on a massive scale. 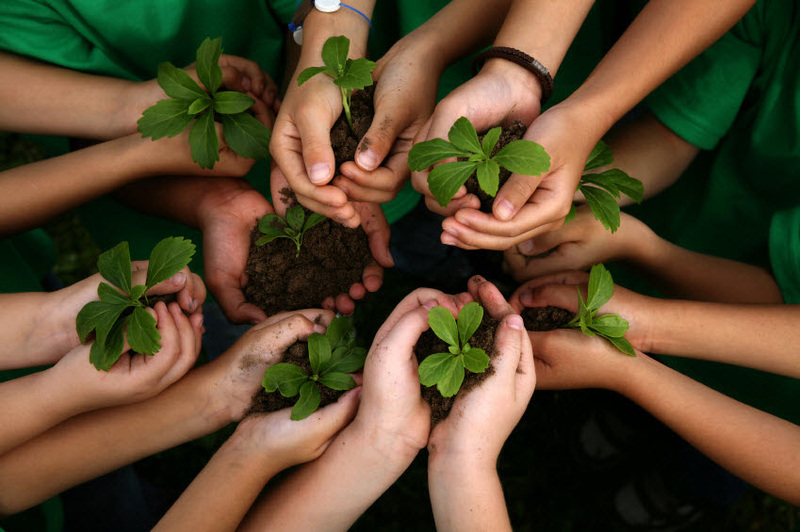 Our “employ to plant methodology” results in a multiplication of positive socio-economic and environment measures. Media release and image provided by Lori McGrath, Lori McGrath PR.